We Guarantee that you won't leave the same way you came. The wrong chemical treatment can send your hair into a talespin. We have a solution for hair loss due to chemical treatments. 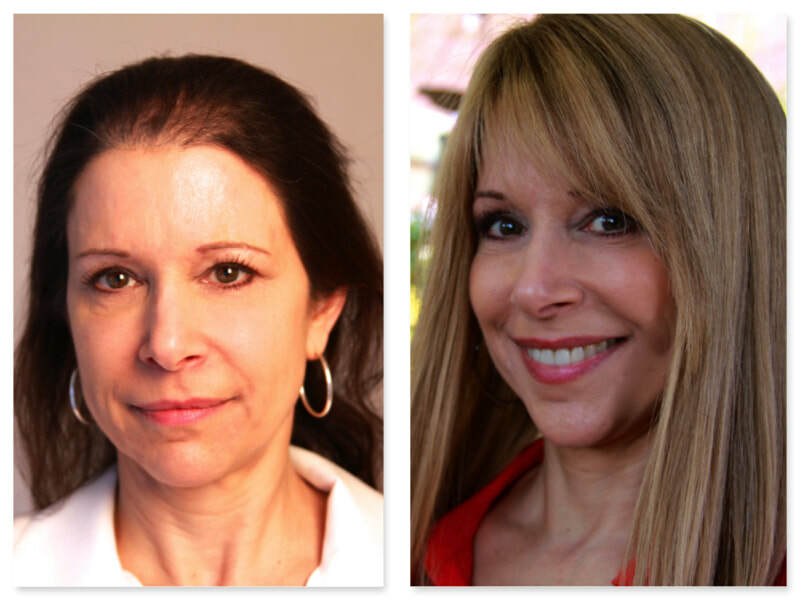 When it comes to providing Hair Loss guidance, knowledge and experience, no one is more qualified to help you get the results you want. Discover what counter measures you need to take to keep your hair full, thick, and from thinning. Here we discuss why clogged hair follicles thin your hair and what you can do about losing your hair to where it thins and becomes bald. This does not have to happen. Just by understanding why your hair falls out, sheds and thins allows you to take counter measures. Discover what counter measures you need to take to keep your hair full, thick, or from thinning. There are various ways to keep your hair shiny, thick and clean. If you still have hair and want to keep it or if your hair is starting to thin out, here are various simple yet highly effective hair remedies that you can use. 1. Clogged Hair Follicles - Just like acne, your hair follicles can become clogged. In acne a clogged follicle results in sebum and bacteria becoming trapped in the follicle, which leads to an infection known as a pimple. When a hair follicle becomes clogged on your scalp, the hair in that follicle becomes trapped and is prevented from coming to the surface. 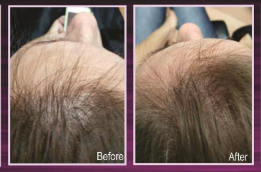 Over time, your scalp becomes smooth and you become bald or lose most of your hair. So the secret to preventing hair loss, thinning and balding is to prevent your hair follicles from becoming clogged in the first place. Once you know what causes your follicle to clog, you can avoid or counteract those conditions. Here is what causes your follicles to become clogged. * Excessive build up of testosterone in blood converting over to DHT and plugging up your hair follicles * Use of shampoos, conditioners, and gels that contain excessive un-natural chemical that stay on your scalp and get trapped in your follicles * Excessive release of sebum and scalp flaking mixing together to form a hard material that clogs up your follicles. It is well known now that excessive conversion of testosterone into DHT accumulates in the hair follicles and clogs them. Knowing this you can use a variety of shampoos on your hair to dissolve this DHT. This keeps your pores open and your hair growing normally. All of Nzuri shampoos and conditioners are safe and carry known DHT blockerrs. You can also take Hair Vitamins that prevent the conversion of testosterone into DHT. Unfortunately, most shampoos, conditioners, and hair gels are created using petrochemicals, un-natural additives, dyes and preservatives that are harmful to your hair and scalp. In addition, these un-natural hair product chemicals get into your pores and can clog them. Once in the follicle, they also get into your blood and are harmful to your liver and the rest of your body. Hence, we also offer our clients Liver and Kidney detox supplements. Either visit our hair vitamin store in Stafford Texas or search your local health food store or Amazon for these very beneficial organ detoxes. I strongly suggest you take the time to search for more natural shampoo products which contain fewer petrochemicals and have more herbs with natural cleansing chemicals. Some people have oily hair and some dry. When the hair follicle releases excess sebum it accumulates on the scalp. There it will combine with dirt, dead scalp cells, and shampoo and chemical residues. Using natural remedies reduces the amount of chemical available to combine with excess sebum and dead scalp cells. Our options are specifically designed to provide you with choices. Take the next step to get your hair back. Make your appointment today! We treat the whole body, from head to toe. Hair Loss is a bully! Did you know that hair loss is a bully? We think so here at Solutions Hair Restoration and Wellness Center. If you have been dealing with any type of hair loss and are not satisfied with the answers you have received then bring your clues to the Hair Loss Detective, Chief Trichologist Leola Anifowoshe. 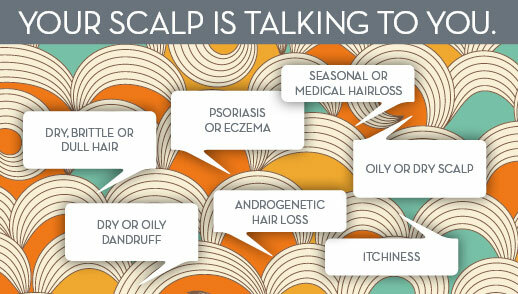 There are all types of hair loss ranging from mild shedding due to harmful product use to severe scalp disorders that can lead to permanent hair loss. This is no time for guessing games. Hair Loss is a serious bully and you have to treat it as such. 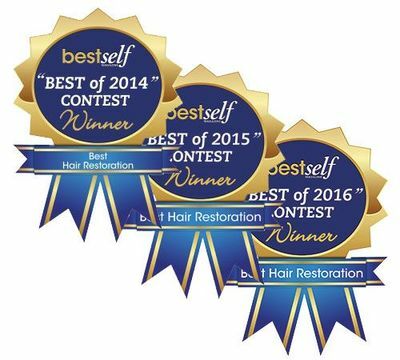 We are the leader in hair restoration in Stafford, Sugar Land, Houston and surrounding areas. So what are you waiting for? Your hair is in a hurry for the Hair Loss Detective to solve the crime of hair loss. Bring your clues to us today so we can help solve the mystery of hair loss once and for all. 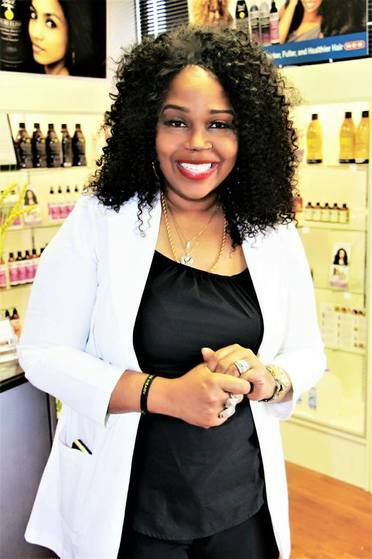 Book a no obligation consultation today. .
Dr. Leola Anifowoshe, Chief Trichologist and Founder of Solutions Hair Restoration and Wellness Center, has been a hair restoration professional for over 25 years. She also has a firsthand understanding of the physical and emotional effects hair loss can cause. 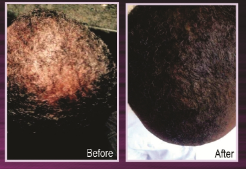 Dr. Anifowoshe has dedicated her career to helping both men and women successfully restore their hair with outcomes that look as though it had never been lost. 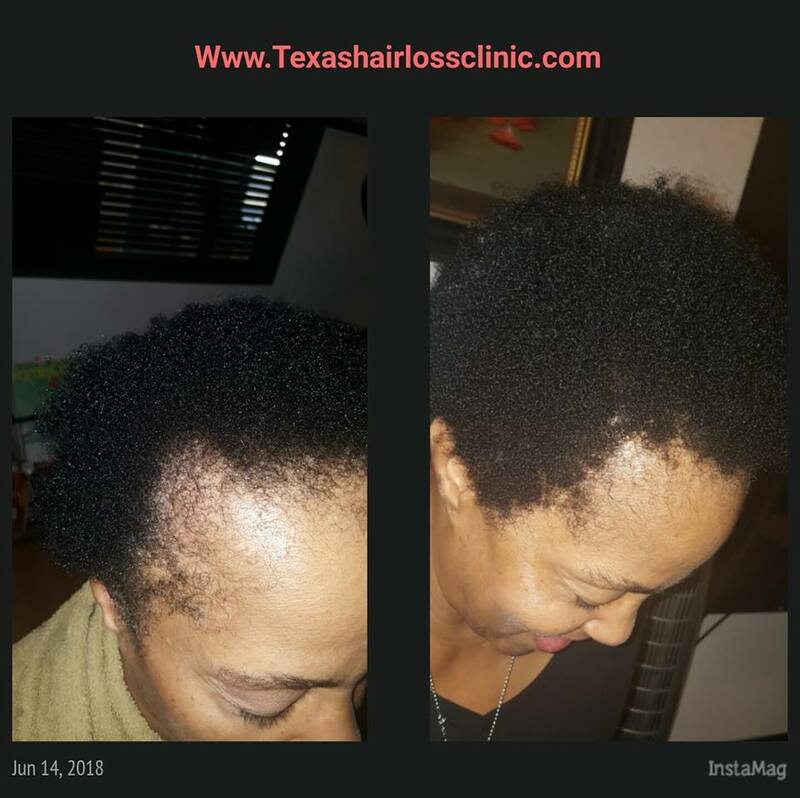 Regarded as a leader in the field of hair restoration, Chief Trichologist, Dr. Leola Anifowoshe has provided thousands of hair loss restoration treatments. "I treat every patient with dignity and respect, and work tirelessly to assure my patients that they are receiving the best treatments." "I was more than frustrated after years of empty promises and thousands of dollars and a bathroom full of products to help me with my hair loss issues. Not until I began using Nzuri products and getting laser treatments at Solutions did I finally get my hair back! My thinning hair has grown tremendously. The shedding in the front has stopped. I have thickness galore. I will continue my treatments at Solutions Hair Restoration Center! 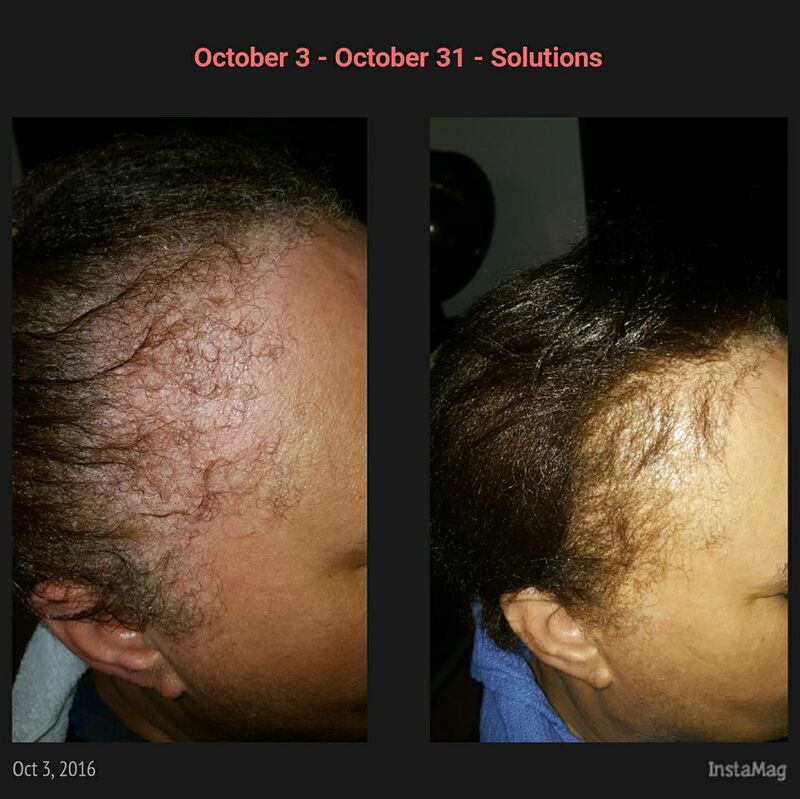 "Solutions Clinic treatments really works! I had a bald spot in center of my head and I’ve have tried everything but this one is the best...I finally have positive results of growth!!!!!" 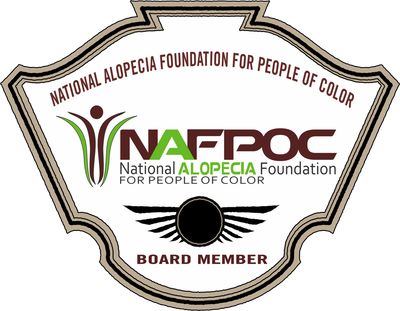 Many women experience different types of hair loss as a natural part of aging, although hair loss may begin any time after puberty. 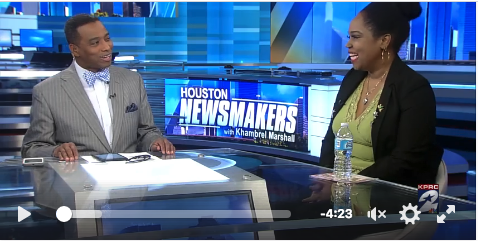 Trichologist, Leola Anifowoshe, "Houston Newsmakers"